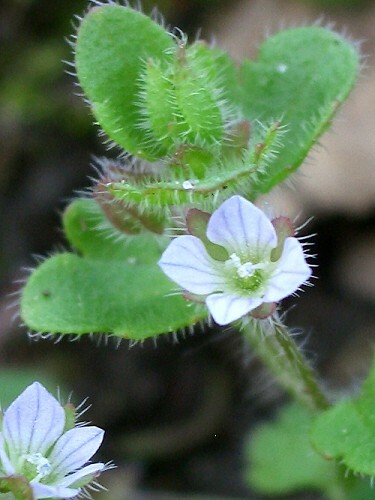 Ivy-leaved speedwell flowers are so tiny, about 2 - 3 mm across, that it is impossible to see the detail with the naked eye. They have four petals which are pale whitish blue and four shorter green sepals. 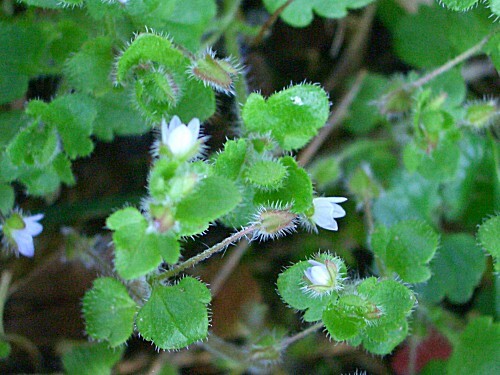 As the name implies, the leaves are ivy-shaped, thick and hairy. 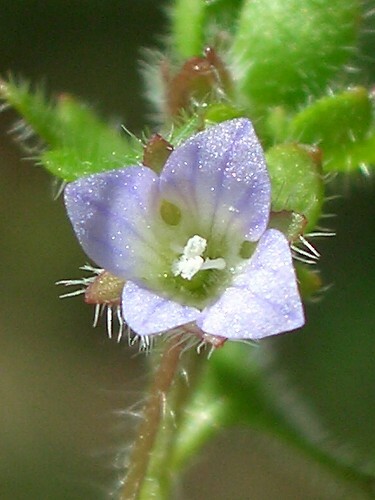 This is a very common weed in English gardens and wasteland.